Alaska has now officially announced the details of their new top tier status level, MVP Gold 75K. 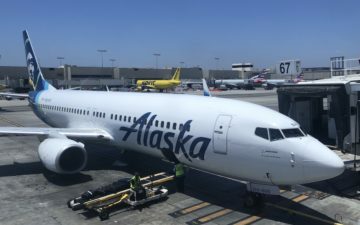 As the name suggests this is for those that earn 75,000 elite qualifying miles per year on Alaska, or 90,000 miles or 90 segments on Alaska and their qualifying partners. So the benefits aren’t earth shattering, but they do accomplish the goal of providing some extra benefits to their most frequent flyers. I think the name they chose is also interesting. They didn’t name it MVP Platinum or some similar precious metal, but instead built off the Gold level. There are probably several good reasons for this. First of all they won’t have to spend as much money on changing signage, but I think it also reflects the fact that they view this as an extension of the existing Gold level, as opposed to an entirely revolutionary level. So that means most Gold members that won’t be Gold 75K members shouldn’t be too unhappy about it, in my opinion. Your experience shouldn’t change all that much.